VuePoint Solutions is an energy specialist software and services provider, trusted by some of the industry’s leading names. 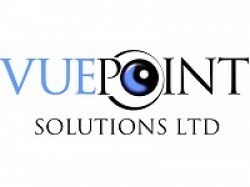 VuePoint delivers high quality Software Engineering Consultancy, Enterprise Software Solutions, Bespoke Software Services. VuePoint’s services include Market VuePoint, the market leader in UK energy balancing and trading decision support, and Energy Risk VuePoint, a flexible and scalable energy procurement risk management service.